Each and every year, millions of people around the world make New Year’s resolutions to ensure a fresh start to the coming year. Each and every year, millions of people around the world also struggle to keep such resolutions and I am sure by now, only the seventh day into the New Year, many of you are either already struggling or have already failed in keeping to them? So why make resolutions at all? Whether it’s going onto a diet, creating a new way of thinking, breaking an unwanted habit or merely getting around to fixing something you haven’t for the past few years or so, why do we feel the need to make these promises? Who are we even making them to? In the year 46 B.C, during the reign of Julius Caesar a calendar was developed that would more precisely represent the changing seasons. 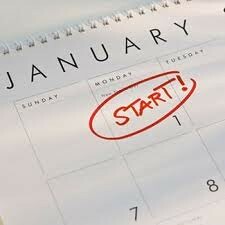 It was during this year that January the 1st became the first day of a 365 day solar calendar. This first month was named after Janus, a mythical and godlike King of early Rome who in 153 B.C was placed at the head of the calendar. He was a two-faced God who could look back at past events and forward into future events and as a symbol for both new beginnings and transitions whether abstract or concrete, he therefore became the ancient symbol for resolutions. In light of this, before the beginning of every year Romans would look for forgiveness from enemies under Janus and exchange gifts such as sacred branches of trees or coins adorned with printings of Janus with one another to celebrate this new transition. 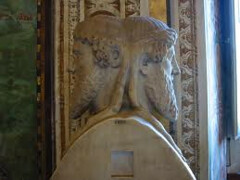 On the 364th day of the calendar year, December 31st, it was believed that Janus could be imagined to have one face looking into the past and one face looking into the future. This search for forgiveness between enemies of early Rome were the early parts of what we now call our ‘New Year’s Resolution’. It is slightly unfortunate that Janus has been forgotten, however this does direct us to a turning point in the variety of cultures, values and beliefs which now adorn the world we live in. It is also important to note that whilst in every culture New Years day is not always thought of as January 1st it is always a celebratory time period for many cultures and religions to wish good luck to one another. 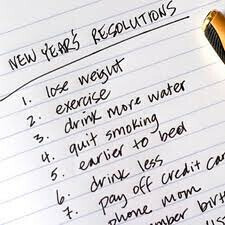 ‘New Years Resolutions’ therefore simply become our way of amalgamating cultures. So how have our values changed since 153 B.C? Our top 5 resolutions this year seem to involve our own concern for our aesthetic appearance, so losing weight and exercising more, quitting smoking, taking care of the planet and spending less money – a far shout from forgiving your enemy, don’t you think? Some may say that if the people in the world were more concerned with forgiveness than material possessions then we would live in a more harmonious and happy world. This is perhaps true, but we may then live in a world where it would become particularly hard to both move and breathe if people continue to eat and smoke at the rate they do.